Does the Merida Initiative represent a New Direction for U.S.-Mexico Relations, or Does It Simply Refocus the Issue Elsewhere? Help for Mexico: the U.S. plan to support Calderon’s counter-narcotic initiative criticized for its secrecy, its assumptions, and its questionable evidence. Washington is encouraged to tackle the deadly magnitude of illicit U.S. weapons sales to Mexico and the mechanisms of supply and demand, as drug consumption rises in the country in spite of U.S. claims to the contrary. A redirection in policy could lead to a potentially problematic future, with dire results produced by U.S. drug policy and featuring Washington’s politicalization of the issue and inventing facts where none exist. In a nation where drug kingpins have infiltrated many state and local governments, and where infighting among drug traffickers has cost more than 4,000 lives in the past 22 months—most of them Mexican—the latter country’s drug cartels have been engaged in a brutal drug war at the very time that they were seeking new trade routes, competing over prices, and hunting down new markets. To tackle this growing ring of violence, Washington has announced a $500 million aid package for Mexico in 2008 (part of an overall 3 year program, all-told to be budgeted at $1.4 billion). Titled ‘Merida Initiative,’ the newly-minted campaign is meant to help combat the trans-border war on drugs, fight organized crime, and counter terrorism throughout Mexico and Central America. According to the State Department, the money would mainly be used to pay for relatively low-tech components, such as basic helicopters, canine units, communications gear, and inspection equipment. The program would also include training and technical advice on vetting new local police officers, as well as case-management software to track and carry out orderly investigations. The plan has been broken down into three segments: “counter narcotics, counterterrorism, and border security,” all together accounting for $306.3 million. Included in the hardware for Mexico will be the purchase of eight transport helicopters and two surveillance aircrafts. Another important aspect of the budgetary allocations is that the Mexican attorney general’s office seems to be one of the largest single potential recipients of the proposal, with up to $60 million being earmarked to revamp the information management and forensics systems, and to train police, court personnel, and prison managers. Aside from the millions to overhaul its systems, the attorney general’s office is also lined up to receive $19.9 million to “digitalize all aspects of prosecutors’ functions, provide a case-management system and rebuild its database structure”. In addition, $5 million more in unspecified “support” for its forensics unit and $2 million to expand its efforts to prosecute human smugglers will be provided. Mexico’s health secretariat would be supplied a computer system to help it communicate with nongovernmental organizations engaged in anti-drug campaigns and featuring rehabilitation initiatives. Mexico’s National Migration Institute, which focuses primarily on the ingress of migrants into Mexico, is to get $31.3 million in order to “modernize its immigration database and document its verification system.” This money will also train and equip rescue crews working along Mexico’s southern border with Guatemala. This region is especially perilous as tens of thousands of Central Americans cross Mexico’s southern border in any given year on their way to the U.S.
“Plan Mexico” = “Plan Colombia”? As a brand of dark humor, the initiative has been baptized at least by some wags as “Plan Mexico,” because of its similarity to Plan Colombia. Plan Colombia (which was first launched as a Bogota, rather than a U.S. initiative) was a seven year plan that began in 2000 and has become a key effort by U.S. authorities to battle drugs and Marxist rebels, not only by revamping the equipment and technology used by the Colombian military, but also by dispatching U.S. military advisors to the Andean nation. Latin News estimated that aid to Colombia in 2007 has reached around the $756 million mark with both President Uribe and the U.S. Ambassador William Brownfield hailing Plan Colombia as an unparalleled success. They claim that the price of cocaine has dropped on U.S. markets, in part due to the assistance provided by this anti-drug policy. Mexican officials bristle at the comparison, as they insist that U.S. troops will not be allowed to operate on Mexican soil. Nevertheless, its critics maintain that the function will eventually break down the firewall restricting U.S. aid to only anti-drug actions, just as it was being brought down when U.S. attack helicopters were supplied to Colombia under the aegis of Plan Colombia. This more recent aid proposal was negotiated behind closed doors between Bush and Calderón, with both U.S and Mexican legislators expressing concern over its lack of transparency. Some of the Mexican officials raised concerns over the possible infringement of Mexican sovereignty down the road, while some of the Americans were troubled by the anticipated massive corruption likely to accompany the programs. In a subsequent press conference in the midst of the discussion, Mexican Foreign Minister Patricia Espinosa insisted that Washington would not be sending Mexico cash payments, nor would Washington ask for any guarantees in terms of who specifically should be arrested, nor would it get involved in strategy, or send in any U.S. armed personnel. U.S. officials concurred, saying that neither U.S. soldiers nor private contractors would be deployed, such as those serving in Afghanistan or Iraq. Yet, there are few who fully believe that such demurrers will be so finely tuned in practice. Regardless of whether or not this is an unstated or somewhat revised edition of Plan Colombia, or whether the script will be followed by the book, it is important to assess whether this expanded anti-drug initiative will be able to actually reduce the supply of drugs coming to the U.S. or noticeably improve collaboration between the neighboring countries, while reducing the number of deaths along the border. Mexico’s drug cartels have been engaged in a fierce internal war for at least two years, as they compete for lucrative new trade routes and try to fill power vacuums left after the extradition of several major cartel leaders to the United States. The wanton violence has been particularly acute in northern Mexico, where gunfights frequently spill across the U.S. border, a major reason why congressional delegations from Texas and other border states have pushed for the aid deal. The Economist illustrates this by stating that in 2006 alone there were 2,100 drug-related deaths at the hands of violent Mexican gangs. In tackling this critical situation, Felipe Calderón has made anti-narcotics policy a priority since coming to power in December 2006, a feat underlined by his mobilization of upwards of 35,000 Mexican troops for the war against drugs, as well as recognizing the legendarily corrupt police to be found there. So far this policy has had mixed results. However, at the beginning of October, a large seizure of up to ten tons of cocaine in the northern state of Tamaulinas, became one of the biggest hauls the country has ever seen, and even more recently, a huge cache of cocaine was seized from a Colombian vessel docked at Manzanillo, which brought the figure to over 23.5 tons. Yet other operations by Mexican officials have been less gratifying, and experts often argue that the military presence is ineffective and cite many claims regarding their human rights abuses. Human Rights Watch (HRW), criticized the proposal, urging lawmakers to reject it unless provisions are included to end rights’ abuses by Mexican military forces embroiled in the drug war. HRW claimed that the Mexican military and law enforcement agencies responsible for counternarcotics operations have very poor human rights records, citing such reports as a case in 2006, when soldiers in the state of Coahuila beat seven municipal policemen and sexually abused 14 women. They say that the ability to investigate such cases and actually bring to justice the abusers lacks clear cut jurisdiction and prosecutors are undermined by fear of dangerous repercussions coming from the army. While seizures on the whole are reportedly increasing worldwide, large seizures have also occurred in Africa and Western and Central Europe, demonstrating the global nature of the drug problem. Cognizant of the external factors involved, Espinosa called the funding request “a program of cooperation” rather than an aid package, and said it would give Mexico, “better tools to protect the population from organized crime.” It was also argued that the proposed Merida Initiative could bolster U.S.-Mexican relations in a positive direction and is indicative of the increasing confidence between the two countries in security co-operation and law enforcement. Reaction from Latin America and drug policy analysts in Washington ranged from the critical to the concerned. Many officials argue that what Mexico really needs from the U.S. is a crackdown on its northern neighbor’s huge market for illicit drugs, and on the U.S. and other foreign arms dealers who keep Mexico’s cartels’ pockets full of everything from handguns to rocket-propelled grenades. In an interview with Reuters, Gen. Javier del Real Magallanes, head of the army drug operation for northeastern Mexico, said: “If there are no weapons, there’s no violence. These arms aren’t from Mexico; they’re from the other side.” He went on to say that while U.S. economic assistance would buy more surveillance and detection equipment, it would not in itself make a major difference. “We lack technology, technology is expensive. We also need the United States to do what it should with respect to arms trafficking….We have to put a brake on the sale of arms,” said the general, whose jurisdiction covers the northeastern states of Nuevo Leon, Tamaulipas, and San Luis Potosi. For example, a massive gun battle recently took place pitting the drug cartels against the authorities, after they descended on the federal police headquarters. The state policeman standing guard at the building became yet another victim to the escalation of violence in Tijuana, Mexico. The guns used in this fire fight, it is claimed, come from the United States and, with no difficulty, could be purchased just across the border in Texas and Arizona. A Mexican government study estimated that around 2,000 guns enter Mexico daily from the U.S. Funds need to be targeted to prevent the sales of these arms whose use results in predictably heavy casualties each year. In particular, access to U.S.- controlled databases should be facilitated so that gun sales can be traced by the Mexican government. In criticizing the sale of arms in the U.S., Garen Wintemute, a professor at the University of California, Davis, and Director of the Violence Prevention Research Program, reproached the Bureau of Alcohol, Tobacco, Firearms and Explosives (ATF), for not being an effective tool in the eradication of gun sales: “Unfortunately, I don’t think that the ATF does an effective job of regulating the firearm industry. It’s clearly not their fault. There are very, very strict limits set on what they’re allowed to do.” There is no registry of gun sales in the U.S. thus making the tracing of arms no easy task. It is fairly clear that gun smuggling is just as prevalent and troubling as is drug trafficking and corruption, which is rife within the customs services in both countries. Mexican Attorney General, Eduardo Medina Mora, insisted in a BBC interview that the U.S. must keep its promise of tackling the illicit arms trade into Mexico from this country if the ‘Merida Initiative’ is to have any affect, telling the Mexican congress: “For me, it is far more important that the United States is dedicated to confronting these four components of the drug-trafficking equation.” While this initiative may only have a short-term impact on drug trafficking, it needs to be debated as to whether or not expectations remain too high. Even in the long run, if it does not put to an end the flow of drugs into the United States, as traffickers seek other routes and as demand increases elsewhere, all is not lost. But with the continuation of a steady and reliable arms supply, and as U.S. weapons continue to be available to bedevil Mexican authorities trying to get a grip on the problem, there is absolutely no cause for optimism. The Bush administration, perhaps a little too eagerly, told the Washington Post that Mexico’s crackdown and latest arrests have contributed to shortages in the U.S. of several types of narcotics, such as cocaine and methamphetamine, which is causing street prices to jump. It has also been reported that Mexican drug cartels operate in almost every region of the U.S., bringing in as much as $23 billion a year in revenue, and that efforts at containment and control had been hampered by non-cooperation between U.S. and Mexican officials, a situation which this new proposal clearly attempts to rectify. 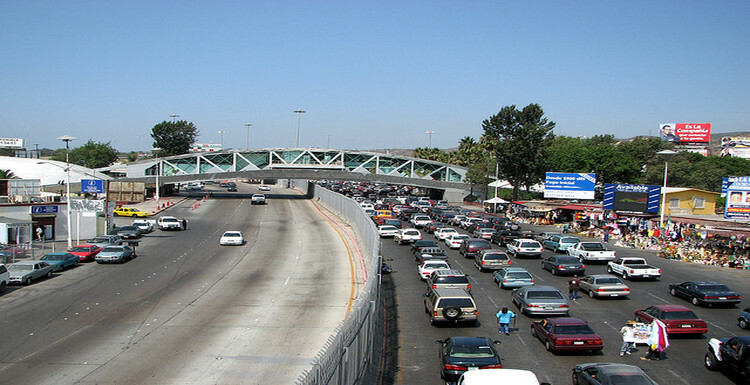 The Post article also notes that, “The amount of drugs flowing through Mexico is growing rapidly, spurred by growing demand in the United States, where 35 million people abuse illegal drugs.” It finds that methamphetamines appear to be undergoing the most marked spurt in cross-border traffic and that “seizures along the border rose from 500 kilograms in 2000 to 2,700 in 2006, indicating ‘a dramatic rise in supply’.” Figures surrounding the transport of cocaine obtained from the Government Accountability Office (GAO), estimated that since 2000, the amount of cocaine arriving in Mexico to be transported throughout the U.S. averaged about 275 metric tons per year, yet reported seizures averaged about 36 metric tons a year and, as officials have argued, this increase must indicate a dramatic rise in supply. As Consumption Increases Worldwide, its Effects Begin to vaporize. The main confusion seems to be associated with the figures quoted by U.S. officials who endeavor to reassure the public that the anti-drug crackdown is a success by emphasizing that cocaine prices are on the rise in the U.S., while its purity is in decline. Nonetheless, other experts are suspicious of these interpretations and of some of the statistics, that seen to be in wider circulation. Some persuadably argue that there are other possible explanations for the rise in prices in the U.S. For example, cocaine consumption is on the rise elsewhere around the world, as well as elsewhere in Latin America, and more to the point, more cocaine seems to be headed to Africa for trans-shipment to Europe, which seems to be marked by increasing consumption. The 2007 World Drug Report (WDR), carried out by the United Nations Office on Drugs and Crime, found that cocaine prices have declined in both the U.S. and Europe since the 1990’s, though the price in U.S dollars per gram in Europe have exceeded its cost in the U.S. The U.S. Department of State itself, in a document on drug-related policy initiatives in Mexico published in March 2007, concurred that domestic drug abuse in Mexico was on the rise regarding marijuana, followed by cocaine, and such inhalants as aerosol-propelled paints, and glue. Neither the total number of arrests from 2003 to 2006 nor the numbers of seizures or labs destroyed indicate a pronounced or long lasting decline in such substances. Fundamental economic principles demonstrate why: as long as a strong demand for drugs exists, there will be a supply to meet it. There are always newly organized cartels ready to step into someone’s place should he or she be arrested or made to flee. Also, the price of cocaine is at risk of becoming more costly under this proposal, thus increasing profits for drug cartels. The WDR showed that the extent of cocaine use (the number of people that had reported drug use at least once in a 12 month period), was estimated at 14.3 million; this was a slight increase at a global level. The above report indicated that there were cases of increased drug use in South America and certainly in Europe. However, these were partially offset by declining figures being reported out of North America, though once more, this can go some way in explaining any rises in the price of cocaine. In accordance with these findings, Chairman Engel referred to the moral stance that the U.S. ought to take regarding its role as the major consumer of 90 percent of the drugs that depart from Mexico to the United States. He agrees that, in considering assistance to Mexico, Washington should by now know that supply side strategies alone are not entirely successful. The closure of some routes, say for example, those leading out of Colombia, as a result of stepped-up influence merely pressure traffickers to find alternative routes, which is what transformed Mexico from a minor way station when the major drug cartels in Medellin and Cali were shut down in the anti drug war. The WDR suggested that traffickers had and were cultivating new routes, in particular via Africa, which in recent years have come to be exploited. The development of new drug routes is something that needs to be anticipated, monitored and taken into account when conducting anti-drug policy. Drug traffickers by necessity are highly sophisticated and adaptive when it comes maintaining the interests of their distribution system and the new routes that they establish lead to new and expanding consumer markets. In order to tackle the realities underlying the epidemic of drug trafficking now taking place, the U.S. needs to re-assess its strategies before dissipating billions of dollars more on a ‘war’ which many are convinced is futile. Firstly, Washington should more intensely collaborate with Mexican law enforcement agencies in order to strategize new measures to tackle the U.S. arms trade, which to an extent propels the dynamics of these drug cartels. Secondly, the U.S. needs to be realistic and open up a dialogue with drug policy experts of various orientations in order to come up with a comprehensive solution to the co-ordinates of supply and demand; tens of billions of dollars over the years have been spent on supply-side drug control, yet illicit narcotics remain readily available in the U.S and elsewhere. Many experts argue that funding the treatment of drug addicts, in countries where consumption is high, like the U.S., would be a more effective form of aid than current or proposed international drug control. It, in fact, would be far better so than rehashing the costly failed drug war policies which repeatedly have been proven ineffectual. Suggestions have been made that the U.S. should propose more adequate solutions for demand reduction and that Washington is in a good position to initiate discussions on energizing plans to reduce the profit margins of these powerful drug cartels. Finally, the above statistics for consumption and trafficking reflect the increased number of non-Mexican-controlled routes now opening up elsewhere, the rise in consumption on other continents, as well as in Latin America, and the persistent ability of traffickers to evade any anti-drug policy. The Merida Initiative may on the surface appear to strengthen US-Mexican relations. However, it may not go far in averting drug traffickers’ intentions as they seek borders and routes elsewhere. Meanwhile, drug consumption will remain high, and traffickers will be able to readily sell drugs while purchasing any number of weapons necessary to get the job done.